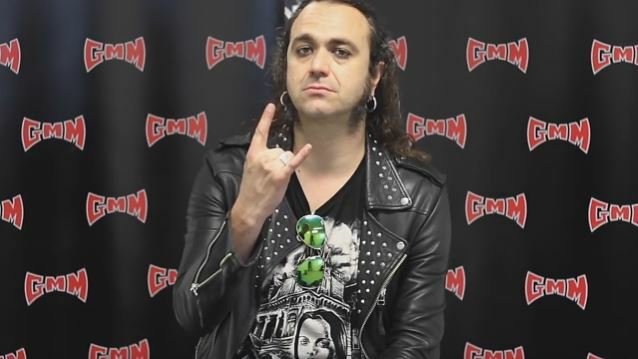 HeadBangers LifeStyle recently conducted an interview with Fernando Ribeiro of Portuguese metallers MOONSPELL. You can watch the full chat below. A couple of excerpts follow (transcribed by BLABBERMOUTH.NET). Fernando: "We started out in '89, actually, but it was a lot of noise. We felt the Portuguese scene, even though there were metal bands before us, didn't have a band or style that was up to the underground times. We were not musicians; we were doing a fanzine, but we decided to start our own band. We had no real plan other than to grab the Portuguese scene with a band we thought would be helpful. Things happened by accident. 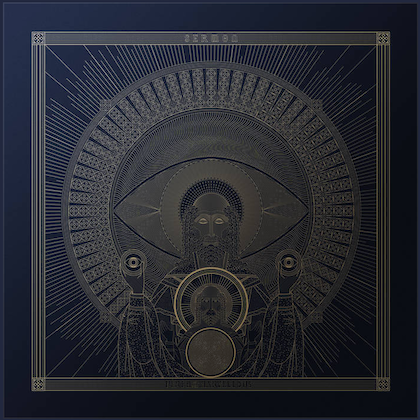 Everything in MOONSPELL is a little bit of a happy accident. 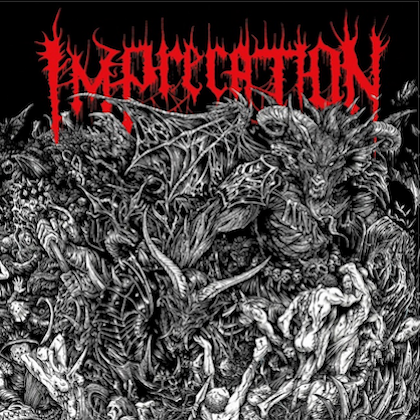 We started off being requested as MORBID GOD in a double-compilation album on vinyl. This was around '92. We recorded our first song 'Serpent Angel', and from that moment on, we understood we have touched a nerve in the Portuguese scene. So we decided to go on, and change the name. After all the years, the plan is the same: represent ourselves, first and foremost, and to have something from Portugal that people can follow and be a fan of. Coming from Portugal, we've always been a little bit better than the other bands. We grabbed the opportunities and worked hard. We still make plans as we go, but the plan is to stay together and to make music that still touches people in a way. After so many albums and years, people were touched by our latest album ['Extinct']. Portuguese don't make a lot of plans. They're different." Fernando: "Portugal was never a hot place for rock and metal. Even though we had an underground scene, it wasn't going anywhere. So we couldn't really take the example of any Portuguese band before us. Not because they were good or bad, but because they were not doing what we thought we would do. They were not really an influence, especially the way of working. I think, the criticism I make to the Portuguese scene back then was that everyone wanted to be the next SEPULTURA, or the Portuguese SEPULTURA, or the Portuguese IRON MAIDEN, or the Portuguese PARADISE LOST, bands who were quite big in Portugal. We wanted to go between the lines. We wanted to do something underground that sounded like BATHORY and CELTIC FROST, and TYPE O NEGATIVE, dark, and gothic, but metal. There was not really someone doing this in Portugal. We were pen pals with a lot of people from the underground scene, bands that are playing now like AMON AMARTH, or TIAMAT, SAMAEL; we knew all of these bands and ended up on the same label as them, Century Media, because we knew where to look." Fernando: "We try to get involved. A couple of times, I was a guest teacher in a school of performing arts. They studied music, music business, sound. This year, I'm going to do it on a more professional level when I'm not touring. It's all about passing the experience, especially in Portugal there are a lot of misconceptions on what it's like to be an international band. All the media, society, parents… they try to have bands be local and national to make easy money. Our role is to show them that there's another way. That's probably our biggest achievement, the way we can share the experience. If I went to my parents when I was 12 or 13 and said, 'I'm going to be in a metal band.' They would tell me I'm crazy and say I need to study and get a job. Nowadays, there's a precedent opened by MOONSPELL that a Portuguese band can make it. Kids have a better excuse to rock out and make a metal band. I always try to pull them into a 'Do it yourself.' Many Portuguese people are lazy sometimes; it's a mentality as a people. Many bands get a manager to send their emails out. Do not do that. You don't have to pay a guy to promote your stuff. Not now. When it gets complicated and you can have it done properly, then you get a manager. We had a manager, an incredible person for 15 years, but now we are our own managers. It's a lot of work, a lot of gray hair. But it's much better." Fernando: "We recorded a DVD in Portugal at the end of August to be out in 2017. Our only DVD — and shame on us — it's more than ten years ago ['Lusitanian Metal']. The DVD had a lot of problems with ex-members and the rights, so it's outdated. I have to say, sometimes we get so involved in making music and new stuff and lyrics, that's what keeps musicians alive at the end of the day. The possibility of having such an outlet and self-expression, it's all yours and no one else's, so we never made a strategy to make releases. We learned with the labels and when you look behind, it's been a while since we did a DVD. There have been so many tours, concerts, so we need a document of MOONSPELL live. We always try to do things a little bit different. For MOONSPELL fans, it's great because it's been more than 10 years, but for the metal scene, every day, a DVD comes out, two or 10. We're going to record in our home country because there aren't many DVDs recorded by metal bands there. It will be a different atmosphere in a cool, natural amphitheater in the south bank of Lisbon. And we are writing a new EP that has nothing to do with 'Extinct'. It will be a concept about the Lisbon earthquake in 1755. You will be very surprised with it; it will be sung in Portuguese. That's what we'll release next, then we'll think about the new album. I know times are voracious and the speed is higher than in the '90s, but 'Extinct' has been out for one and a-half years. We're not inspired to do a new album, but we did a very interesting EP and that will be the next physical release and we'll tour on the DVD as well."